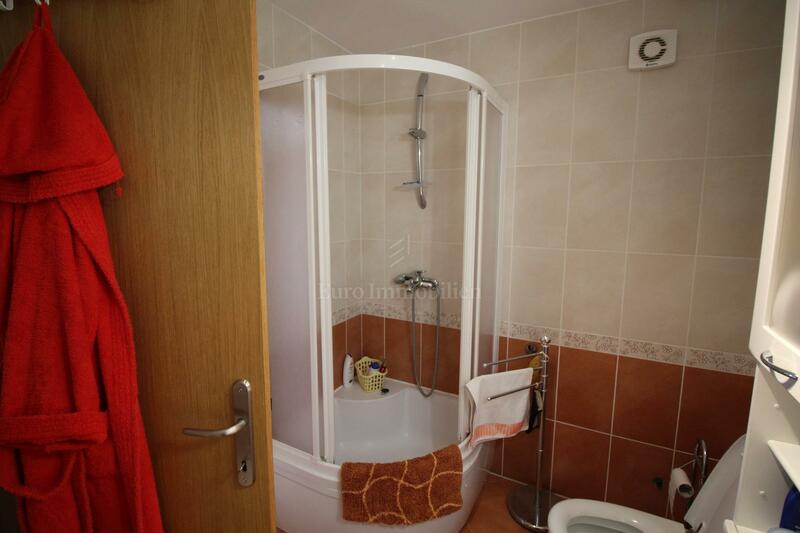 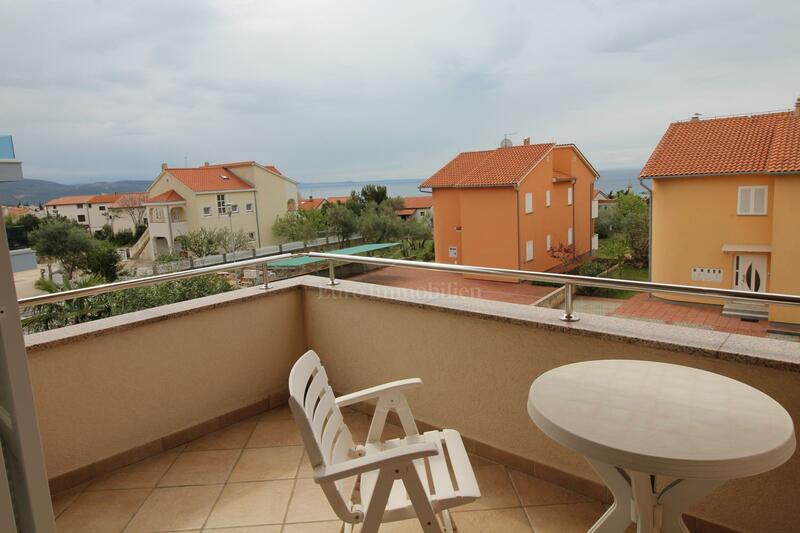 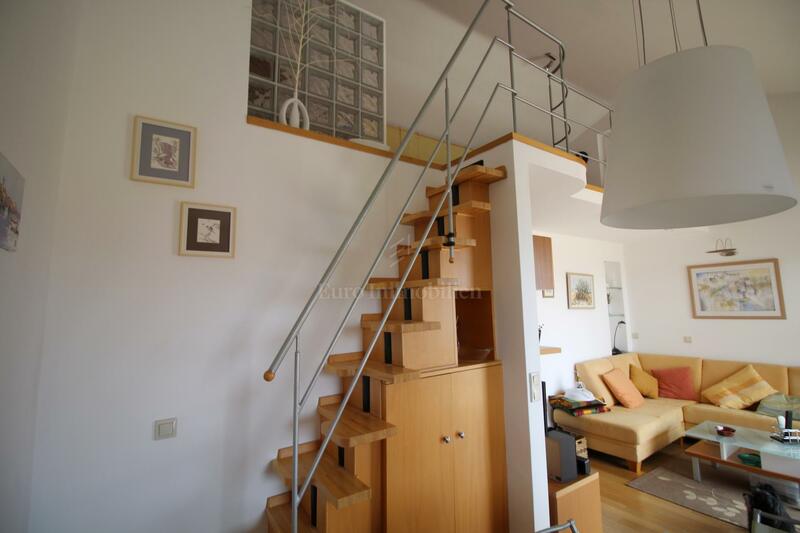 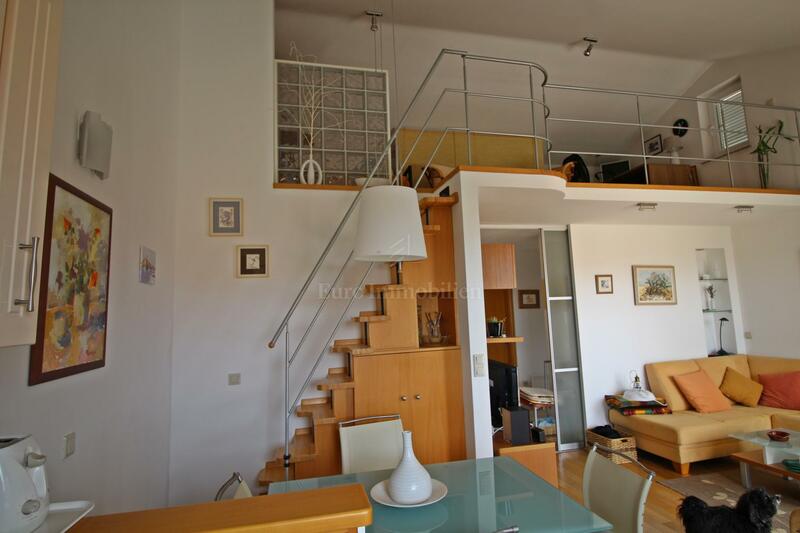 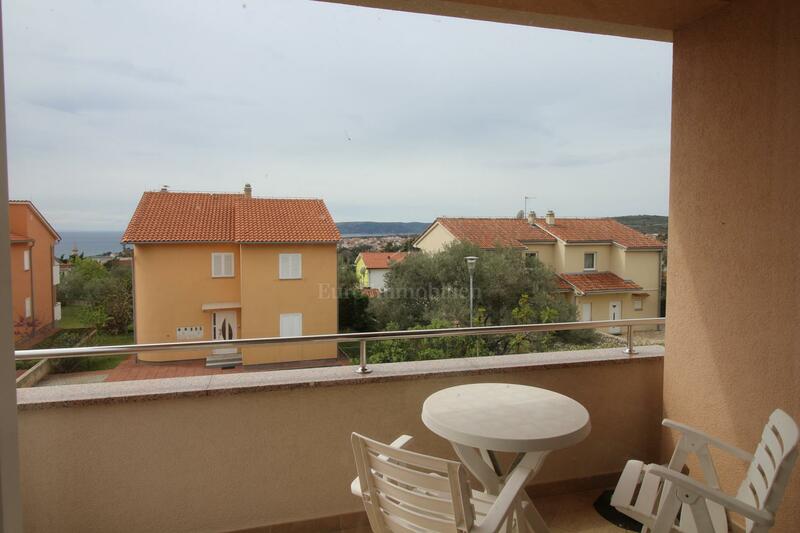 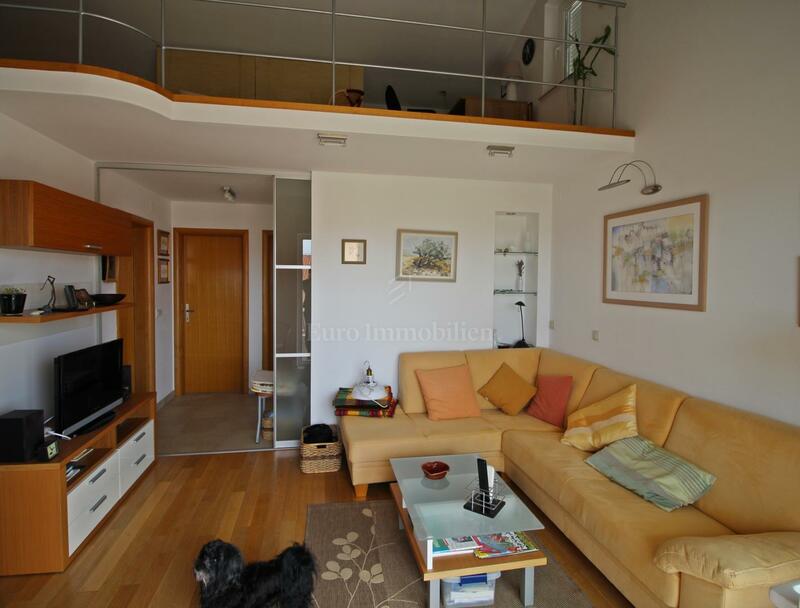 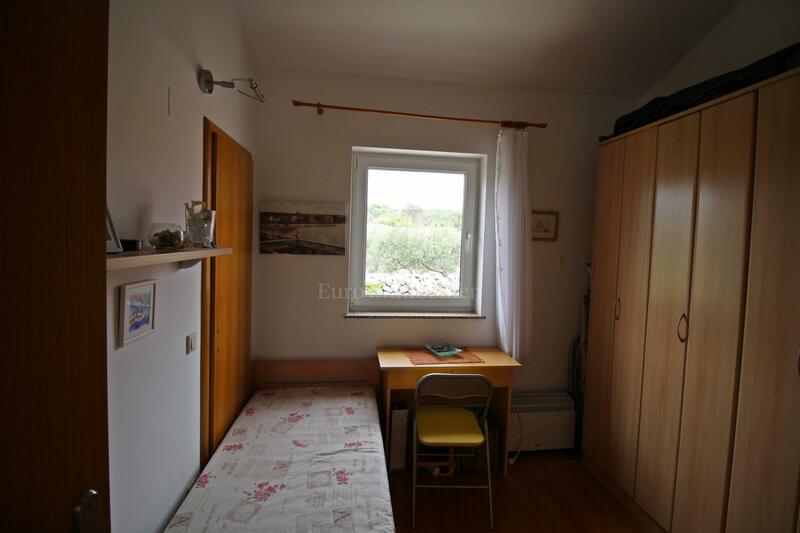 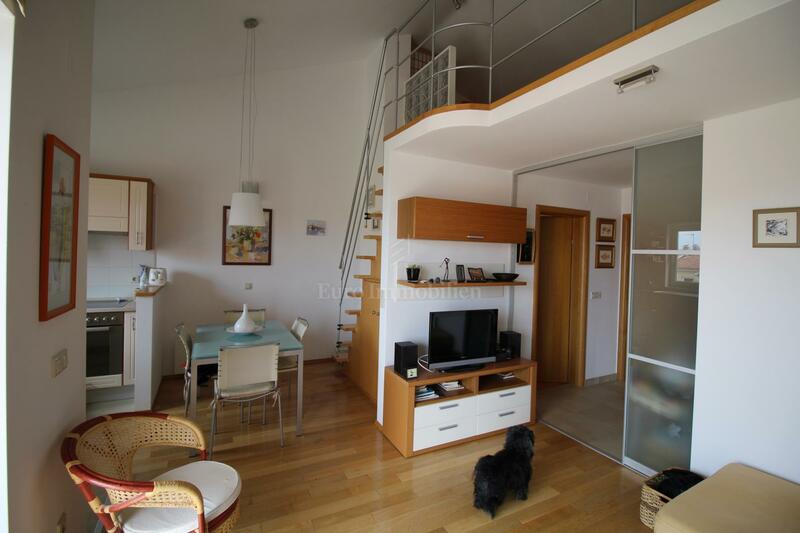 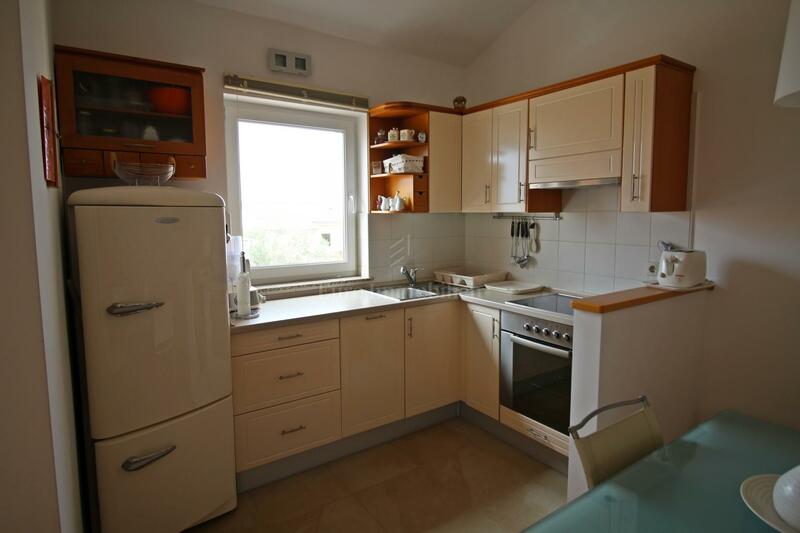 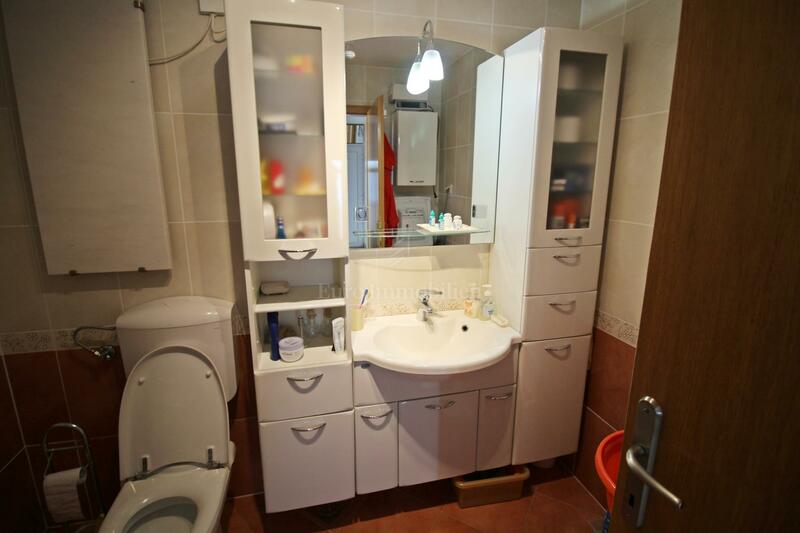 In a quiet neighborhood in the town of Krk for sale is an apartment with a gallery and sea view. 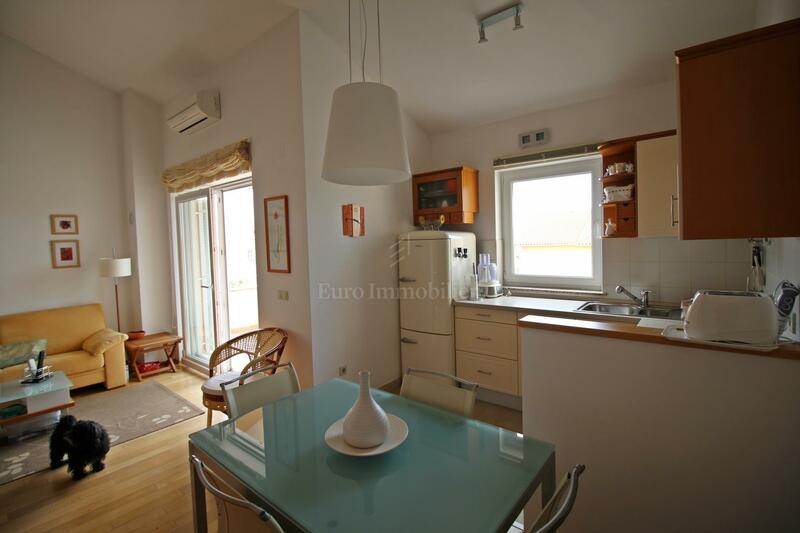 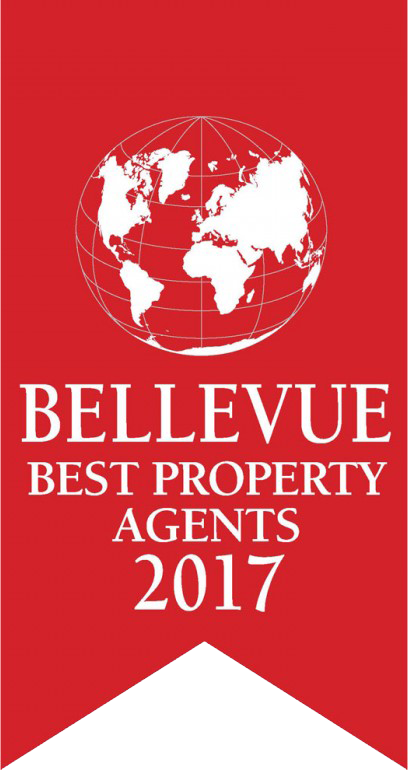 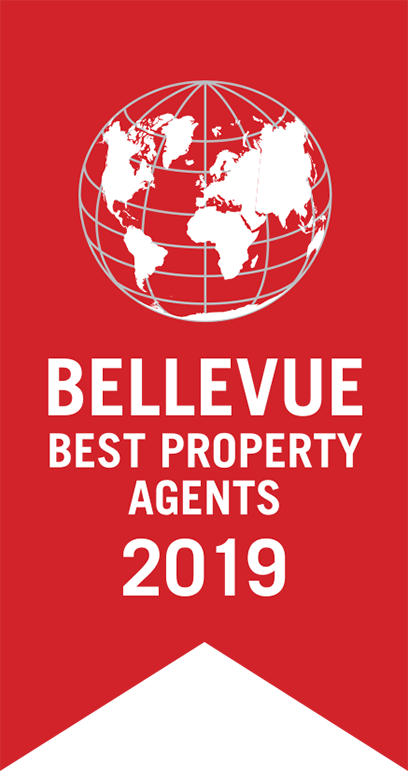 Apartment of 57.87 sqm is located on the first floor of the building, has an excellent layout of the rooms, and consists of entrance hall, kitchen, dining room and living room with exit to a terrace of 5 sqm, two bedrooms and bathroom. 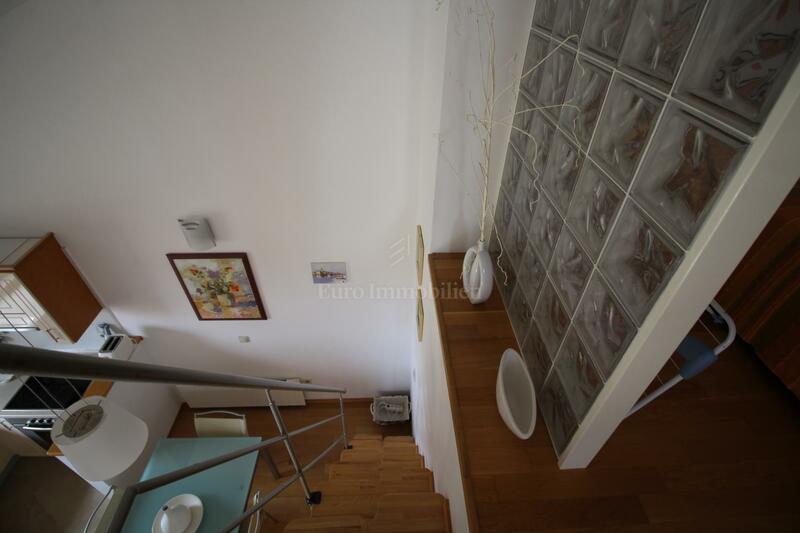 Indoor stairs lead to a gallery of 16 sqm. 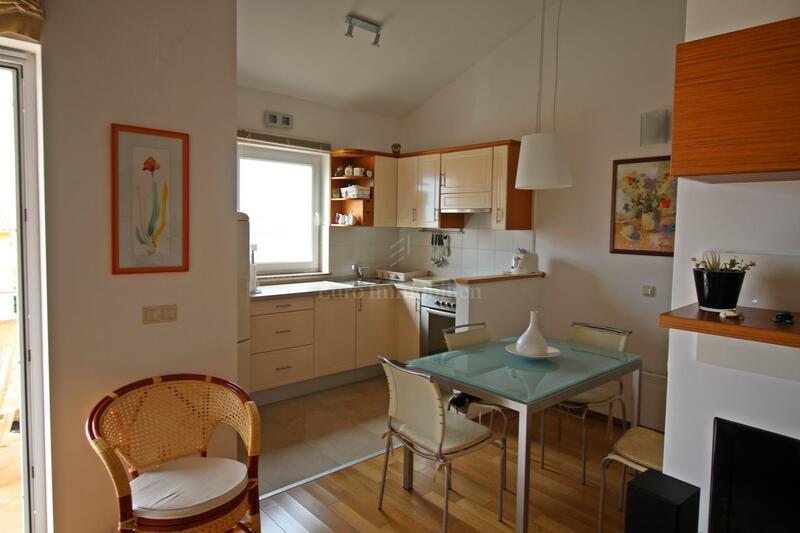 The apartment is air conditioned, properly maintained and has installed heating marble slabs. 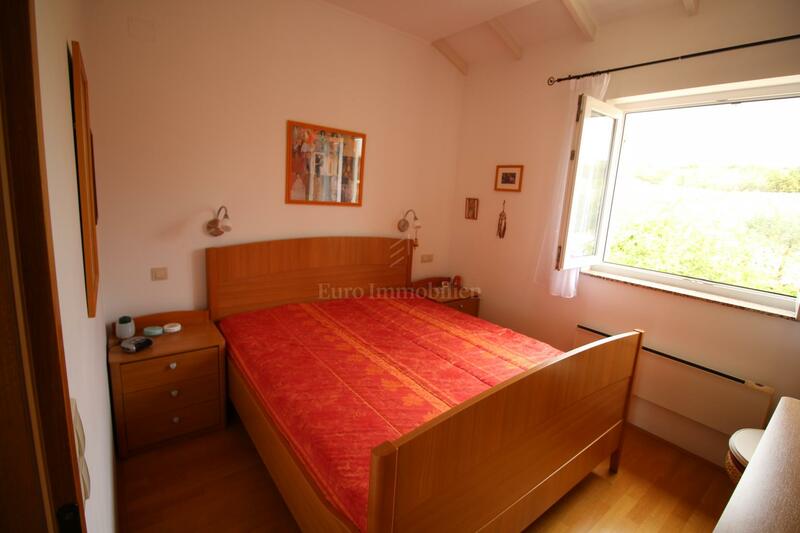 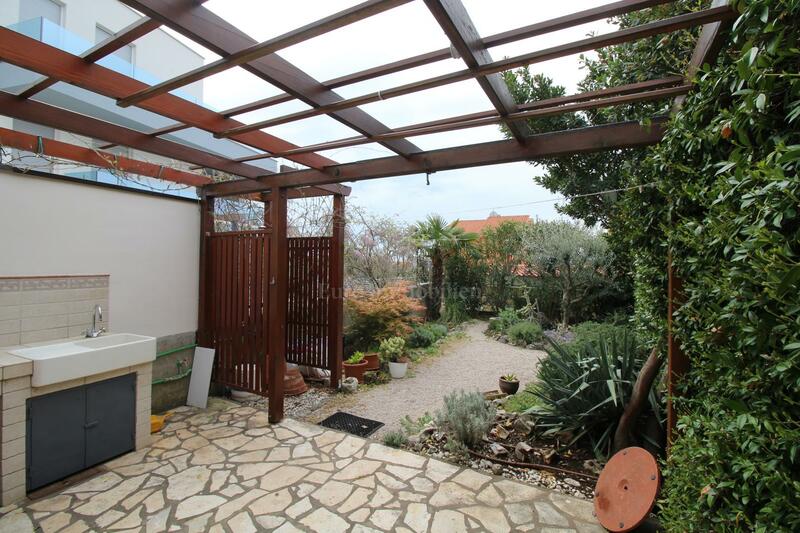 It has a beautifully landscaped garden of 70 sqm with a garden house and a summer kitchen. 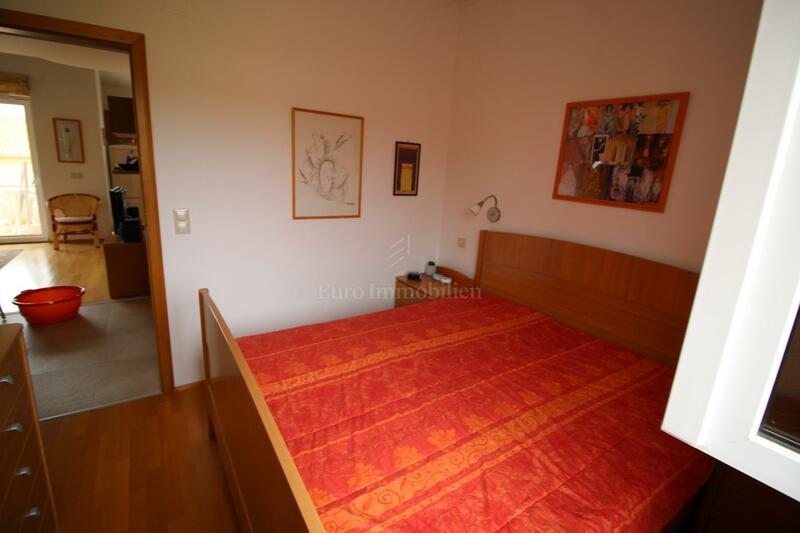 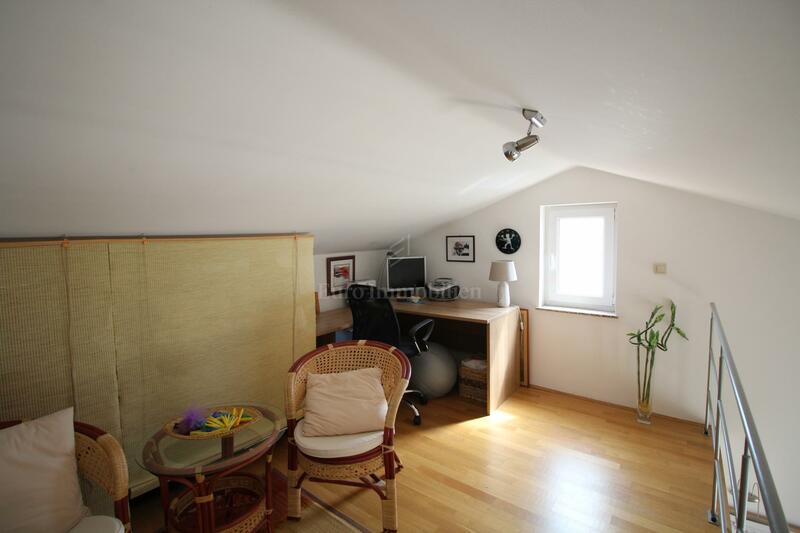 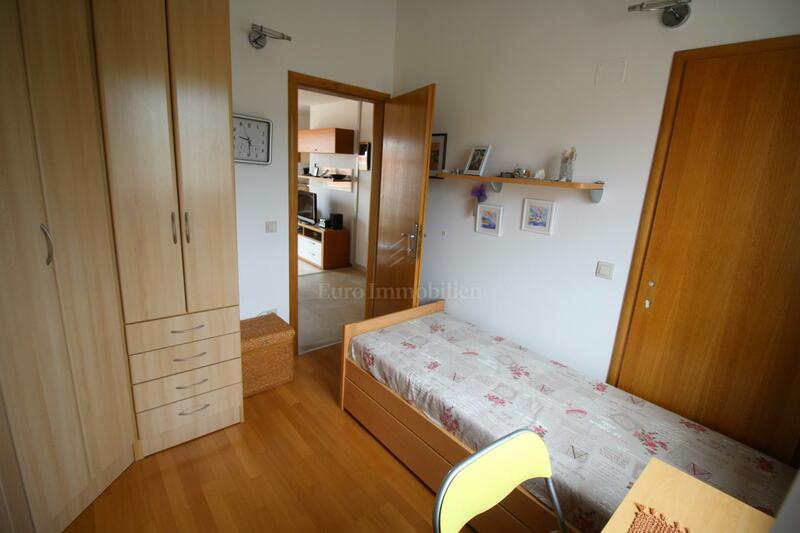 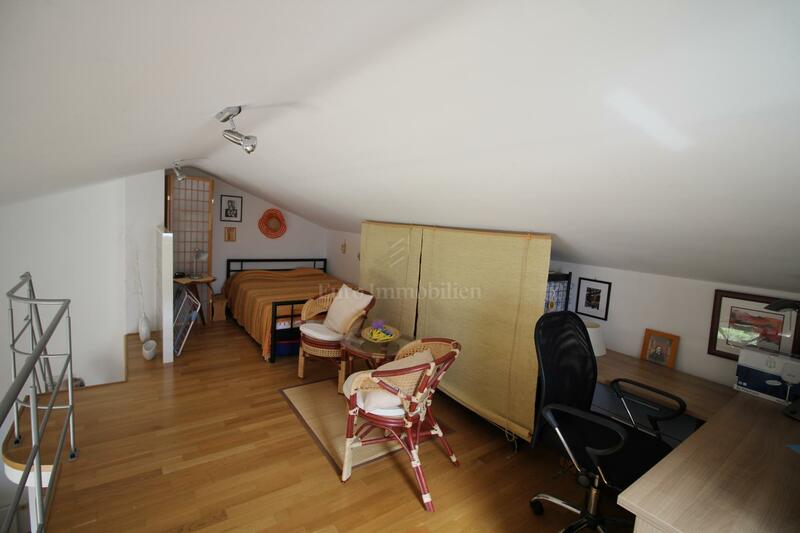 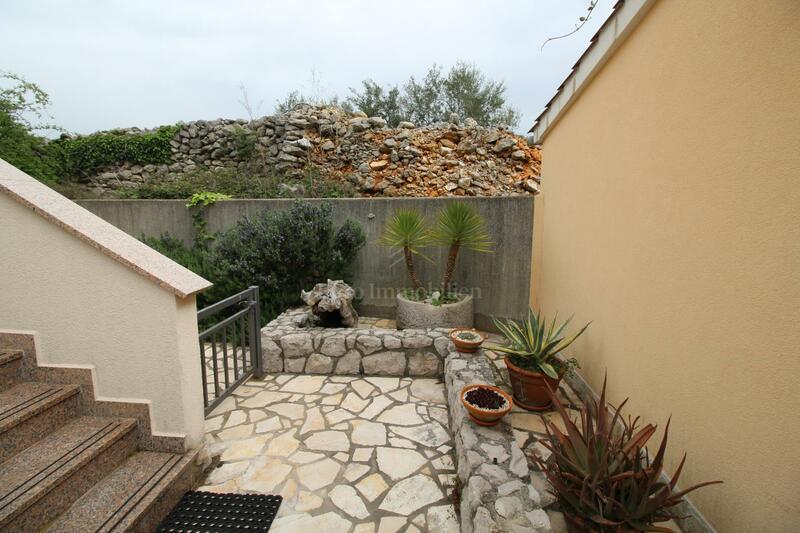 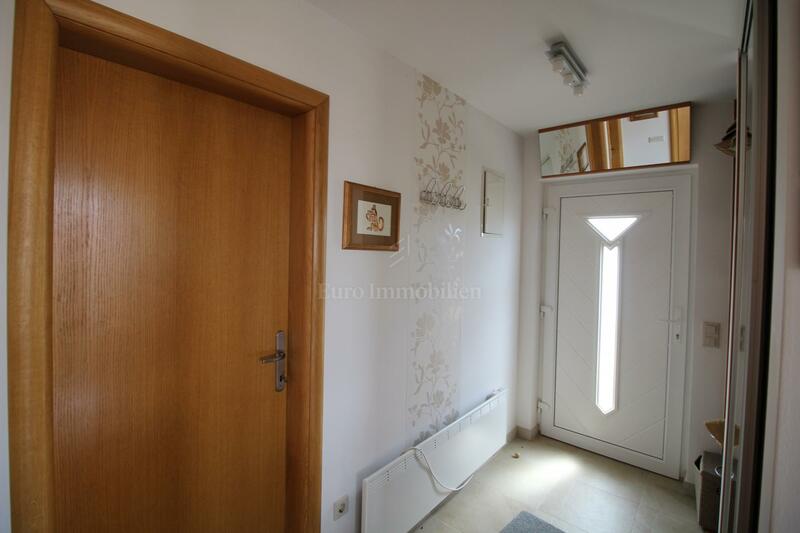 Beautiful location 400 m away from the city center and 700 m from the sea.